Last Saturday we held the book launch for the Clandestine Cake Club Cookbook at the lovely Waterstones branch in Cambridge. 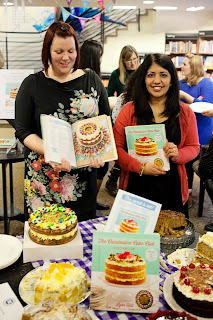 With my trusty co-host, Miss Sue Flay, at my side and help from the fantastic staff at Waterstones we welcomed 20 cake club members along with members of the public to eat cake, talk cake and get to know the cake club. 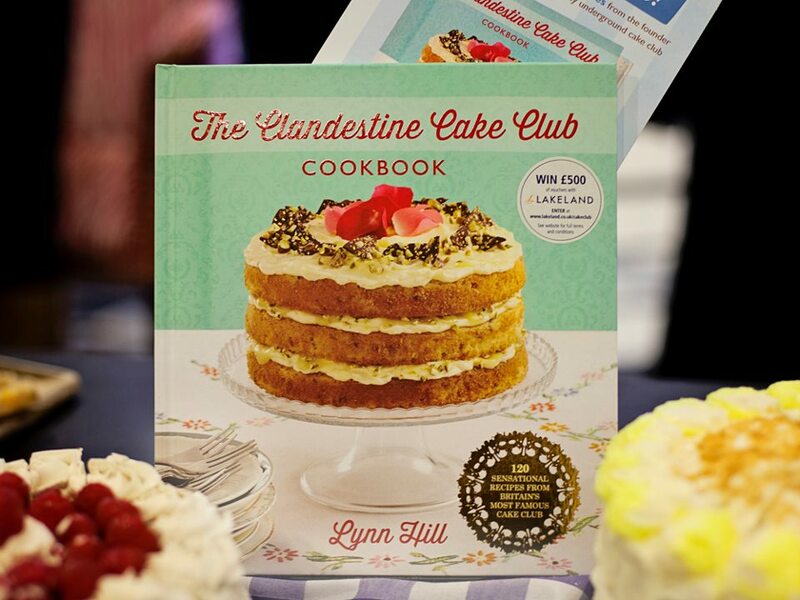 If you aren’t familiar with the cake club; it was set up by Lynn Hill 3 years ago as a chance for people to test their baking skills, meet other bakers and try their cakes. You bake a cake, bring a cake along, eat cake and then take some cake home! The book is a collection of members recipes (there are over 150 clubs in cities worldwide, from Cambridge to Calgary, Birmingham to Bangalore!) which makes it extra special and bursting with some really original ideas. I baked a Blood Orange & Rosemary loaf cake for the club, which despite the odd sounding combination, works brilliantly well. Fresh rosemary is milled in a food processor and then folded into a cake mix flecked with blood orange zest and spices. The cake is baked in the oven and then a rich blood orange syrup is poured over before being finished with slices of fresh blood orange. The resulting cake is earthy and rich and the orange works perfectly to balance the savoury flavour of the rosemary. Try it, it totally works! Normally the cake clubs are for those who pre-book only, but this one was a cake club with a difference. We set up on the first floor of the bookshop and invited passing customers to try the cakes and find out more about the club. It was a little daunting, admittedly, but everyone who talked to us was really friendly and interested – and also, who doesn’t love free cake? We recruited some new members to the Cambridge club that day and we really hope to see them at the next event in April (more details on the cake club site soon). To find your nearest next cake club event see the Events page of the Clandestine Cake website. You can buy the cookbook at your local Waterstones or here.